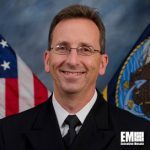 Bruce Danly, superintendent of the Naval Research Laboratory’s radar division, has been appointed by Navy Secretary Ray Mabus as director of research at NRL, effective Dec. 25. “I look forward to working with Bruce as we plan, foster, and encourage scientific research that will define our future naval power,” Read Adm. David Hahn, who became chief of naval research in August, said in a statement released Thursday. Danly will oversee NRL’s technical programs, evaluate staff’s technical competence, collaborate with the scientific community and facilitate exchange of technical data. 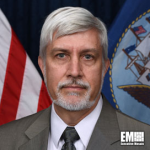 He joined NRL in 1995 and served as chief of the high power devices section under the vacuum electronics branch at the lab’s electronics science and technology division and head of the microwave technology branch at ESTD. The Institute of Electrical and Electronic Engineers member also served as a research staff at the Massachusetts Institute of Technology’s Plasma Fusion Center. 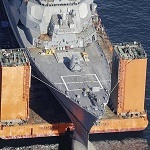 Danly is a recipient of numerous awards such as the Navy Meritorious Unit Commendation and the NRL Technology Transfer Award.